Lifelong Alaskan residents, Richard & Becky Gerondale, began their adventure in the drive thru espresso business in November 2001. The first Perkup Espresso location was opened at the corner of Potter & C Street in Anchorage. 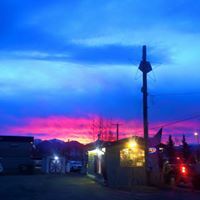 Perkup Espresso has now grown to 7 locations within Anchorage and the MatSu Valley and will be celebrating 16 years in business this year! Rich and Becky feel very fortunate to be able to give back by supporting community organizations like schools and children’s sports teams. They also take pride in employing nearly 50 young Alaskans and seeing them grow and prosper. Perkup Espresso has been blessed with many long time employees and contributes much of their success to their great employees! It is always exciting to see their dedication and hard work pay off by reaching goals like buying their first home.